As we speak, India, along with the rest of the world, is preparing for the onset of a manufacturing revolution. The intent of Industry 4.0 is to change the way organizations design and manufacture their products, and this change will be driven by the confluence of multiple technologies such as AI, IoT, Connectivity, and Big data to name a few. It goes without saying; IoT is at the base of the Industry 4.0 movement – be it predictive maintenance to reduce and prepare for downtimes, or automation to cut down on manual error and raise productivity. Physical assets are constantly communicating with each other to make the manufacturing floor smarter and more efficient, in turn increasing overall productivity. Resting on the pillars of a large base of skilled technology talent and government impetus, India is readying itself to leverage the Industry 4.0 wave and become the manufacturing hub for the world. The technology ecosystem in India has already recognized the potential of this movement and is taking big bets on connected manufacturing. Indian Institute of Science (IISc) is building India’s first smart factory in Bengaluru with seed funding from the Boeing. Bosch will implement smart manufacturing at its 14 manufacturing locations in India by 2018. General Electric has invested USD 200 million in its only multi-modal factory in India where digitally interlinked supply chains, distribution networks, and servicing units form part of an intelligent ecosystem. 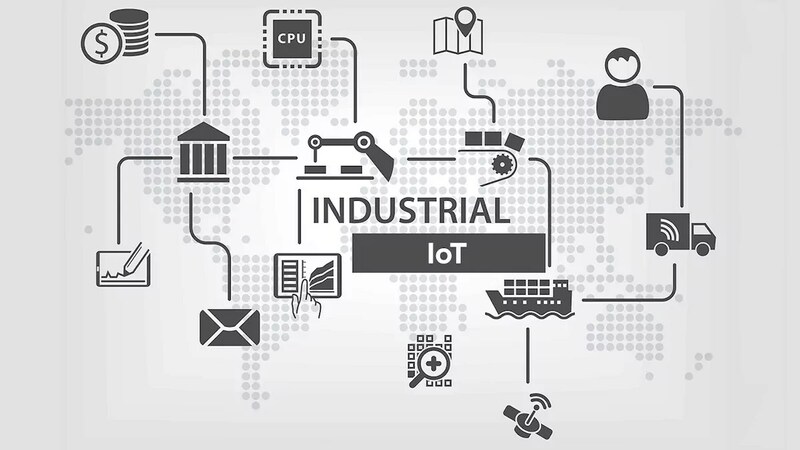 However, there is one section of ecosystem participants who are uniquely positioned to harness the opportunity that Industry 4.0 presents and address top of mind concerns for the industrial sector – startups in the iIoT (Industrial IoT) sector. Indian startups in iIoT are already working towards addressing numerous applications in Industrial IoT, few of which have been elucidated below. Remote monitoring is a major area of focus in iIoT, allowing organizations to observe the running of the plant or factory from a remote location and minimizing physical human intervention. Not only does this save time and money, it also makes the factory environment almost 100% safe for employees. Flutura is one such startup which focuses on helping companies with remote monitoring of assets and advanced analytics. Cerebra, Flutura’s heralded platform, is used by several OEMs to enable them to monitor electrical and mechanical assets in industrial and commercial facilities and in manufacturing lines across the globe. The platform employs advanced streaming technology to support high velocity machine data, pattern discovery algorithms, and supports a unique methodology called “nano apps” to launch new offerings every 60 days. Cerebra is used by several OEMs to enable them to monitor electrical and mechanical assets in industrial and commercial facilities and in manufacturing lines across the globe. E-commerce is also driving industrial IoT, with a focus on increased efficiency in warehouse automation, transport management and logistics. Warehouse automation accounts for a big share in the e-commerce space. India is increasingly seeing e-commerce big players such as Amazon, Flipkart and more setting up enormous shop floors and warehouses in India. The challenge for these companies in India has been primarily order fulfillment and managing “cash on delivery” in an unconnected warehouse environment. Grey Orange Robotics is a hardware startup that is disrupting the highly unorganized warehousing industry. They have robots that work quickly and efficiently, compared to the traditional labor-intensive and error-prone manual warehouse workers. The startup has developed a complex combination of a robotic system for automated inventory storage in distribution centers, and a robotic sorting system comprising of next-generation IoT sensors, pneumatic arms, and advanced software for order sorting in warehouses and distribution centers. Grey Orange has received $38+ Million in funding, indicating the promise this sector truly holds. Another area that industries are now heavily relying on is Predictive Maintenance, which is saving millions of dollars by pre-empting any problems with the industrial equipment to improve shop floor efficiency. Zinnov research reveals that the manufacturing shop floors rely heavily on integration and connected devices for maximum efficiency. Covacsis Technologies has developed an Intelligent Plant Framework solution that provides real-time data from machines on the shop floor as well. This allows manufacturers to cut down on wastage and organize production flows and throughput. The platform provides analytics across downtime, machine capacity, financial impact and more, providing actionable insights across company stakeholders. Another startup that has tapped into the potential of this application is Altizon. Altizon’s proprietary Datonis cloud platform for IoT provides device connectivity kits, and a real-time, big-data analytics engine and predictive maintenance for Automotive, Oil and Gas, Steel Manufacturing and more. With a host of different industries setting up, startups are also building products and solutions which are industry-agnostic. Apart from decreased adoption time, companies now also require increased customization and flexibility in the solutions provided, with easy accessibility from different devices. Startups like Chipster cater to most companies’ customization needs. Chipster has 3 main products that all provide industrial analytics which can be customized to any machine. ChipBOT is a Wireless IoT module that can attach to any machine that has a Serial, USB or Ethernet port, allowing custom analytics solutions to be built on top of it. ChipHUB is a modular computing device that processes the data from ChipBOT and generates analytics reports while connected to any computer or laptop device. CRUNCH is the software module that runs on ChipHUB to process the ChipBOT data and generate easily accessible reports over the cloud. A key factor which will drive the adoption of Industrial IoT applications is the wide range of applications that are still untapped. Using sensors, advanced analytics, and intelligent decision-making could profoundly transform the way field assets and manufacturing operations connect and communicate within the heavy industries. For instance, areas like automotive manufacturing are now employing the use of robotics in their factories, with OEMs (Original Equipment Manufacturers) having up to 40% of their plant operations done by robots. Zinnov believes that by 2020, the industrial IoT segment will become so pervasive that it will expand to include almost every vertical, be it business, technology or even agriculture. This will provide an even larger sphere for iIoT technology to pave the way and disrupt larger industrial organizations across the board. With startups entering niche technology areas, larger organizations need to work nimbly, and not just remain consumers but also become creators and innovators to remain relevant contenders. The dominance of startups, as per our estimates, is expected to continue as Industrial IoT startups will grow by a forecasted CAGR of 30-35% by 2020, providing formidable competition to incumbents.